I can’t believe that August is just a few days away! What sort of fun activities have you been enjoying this summer? We’ve been enjoying the playgrounds, spray pads and pools while staying close to home. I don’t think we’ll be making any big trips this year but we’re hoping to get to the zoo in Saskatoon. My son thinks the local museum is a “zoo” so just imagine his surprise when he sees a zoo with animals that actually move. Ha! 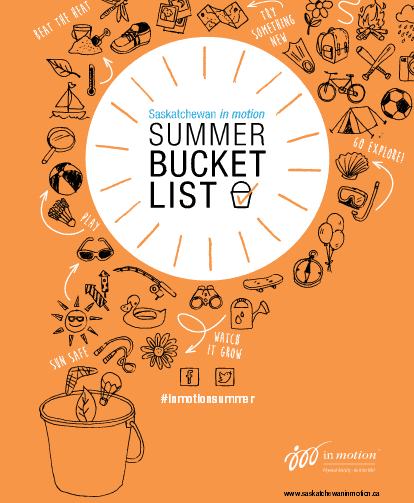 Saskatchewan in Motion wants to help you make the most of your summer and they’ve put together a great booklet on summer bucket list ideas! There are so many creative ideas in this FREE book! You’ll find ideas for indoor fun and outdoor fun, at home or on the road, ideas that both kids and adults will enjoy. Not only do they have some great ideas to get your creativity flowing but they have loads of links for free printables, DIY projects, game instructions and more! go on a high-tech scavenger hunt – geocaching! There are so many great ideas on the list that you’re going to want to try! 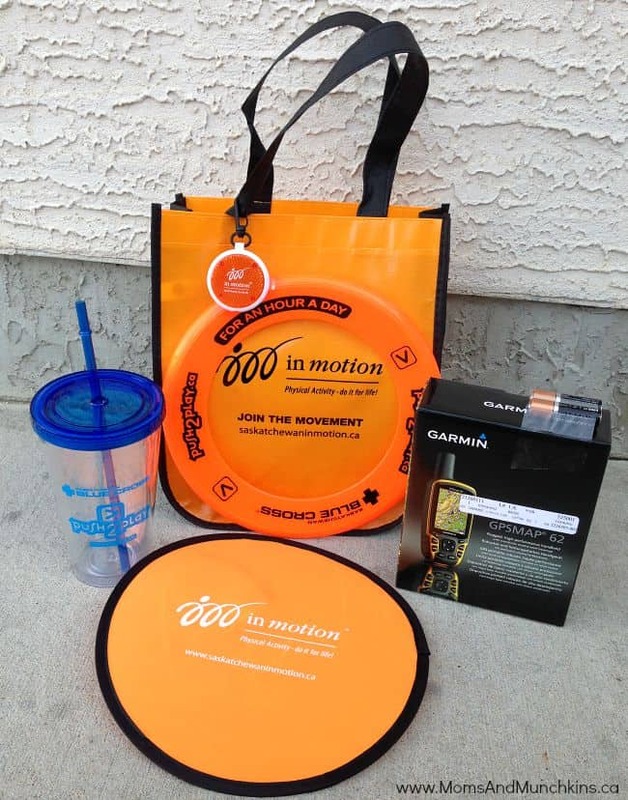 Saskatchewan in Motion wants to help you plan the ultimate high-tech scavenger hunt with a giveaway! 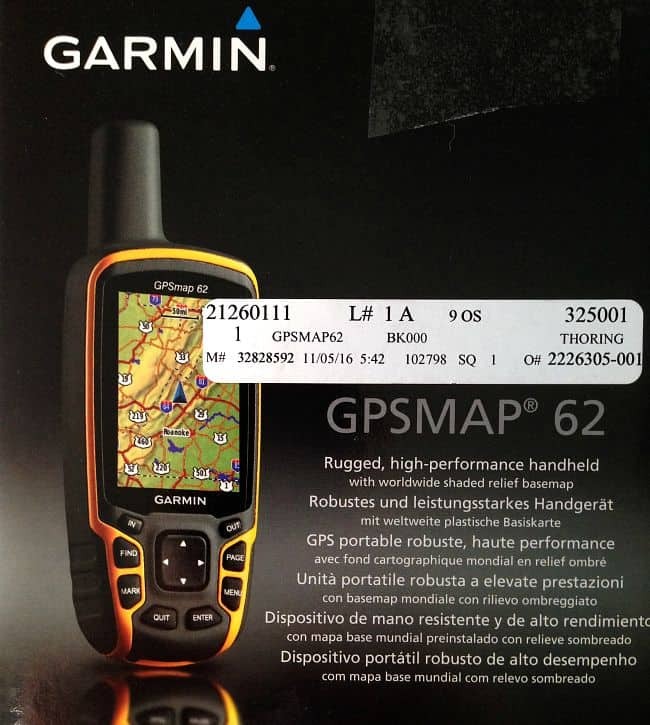 They are giving away a prize package including a handheld GPS unit! Approximate prize value $350. THIS GIVEAWAY IS NOW CLOSED. THE LUCKY WINNER IS AMY H.! What a great prize to win. Thank you so much for the chance. I WOULD LOVE TO TRY PARASAILING WITH MY FAMILY–LOOKS AWESOME! AND, THANK YOU SO MUCH FOR THIS CONTEST. The Glow Bowling alley looks like a lot of fun! I would love to go zip lining. The glow bowling sounds like so much fun, sure everyone in my family would love it! I would like to try the zip lining with my family. Would be fun to go ziplineing! I would love to be able to go glow bowling with my family! TY! Our family has started to on picnics with the kids to get out of the city more but also just to do something not the usual. I’ve always wanted to try zip lining. It would be so much fun with the family. The wonderful local Harmony Arts Festival. We’d like to try and build a Giant Backyard Kerplunk. I’d love to go on a nature walk with the walking bingo card. I want to play paintball. glow bowling would be my choice for my family! I would love to get active during our vacation this year; so zip lining is on the list and so is a lot of hiking! I would love to sleep under the stars with the kids!!! My kids would love to go on a canopy or ziplining addventure! I`d like to try the ziplinig!! Glow bowling would be fun! My 73 year old husband goes kayaking every Sunday, next week is going camping with his dog and next month is going kayaking & wilderness camping by himself. This man gets turned around in a store and has trouble finding his way out, so it would really ease my mind if he won this so that he would always know just where he is and could at least phone for help and give his coordinates. Thanks for giving us all a chance to win this awesome prize. Would love to try zipling, something none of us has ever done. I would like to go glow bowling. I think the Backyard Photo Scavenger Hunt would be fun! The zip lining would be such a rush! If I could convince the kids to do it, it would be a blast! I would Love to try zip lining! Glow bowling looks like it would be fun. we would go on a scavenger hunt! The scavenger hunt is a great idea! I would like to try glass blowing. It is super handy device. I saw it with a friend of mine and now I want it too!! Would like to win and try Geocacheing. Zip lining would be amazing!! The indoor olympic games is a great idea! I am going to get them out in nature – by themselves as much as possible – a bucket and net and a pond and all kinds of great things will happen. We would love to go zip lining. Holy batman , luv to try zip lining. Wow, prize GPS is fab. & splendid. 2 fingers snap. It is tight, fly & off the chain. Thank you for the awesomeness, the contest, and generosity. 🙂 Pick me, pick me! Dear Santa: I’ve been nice. My X-Mas wish this year is to win this contest. Starving artist here desperately needs the GPS to not get lost, work and eat. A life changing exp. i want to do the stay cation!